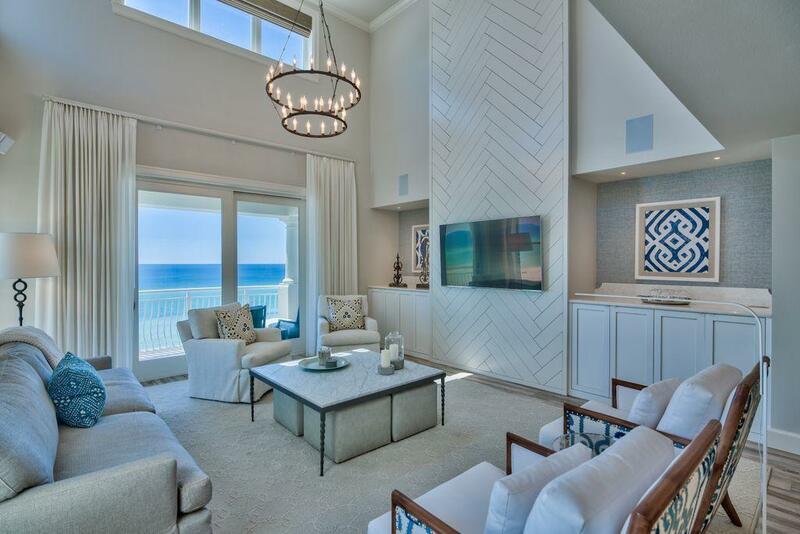 Unit 403 at Grandview Condo is an outstanding four-bedroom, four-and-one-half bath beachfront residence in Miramar Beach. This spacious 3,110 square foot condo has been completely renovated from top to bottom and includes beautiful tile work in each boutique bathroom and remote controlled shades in the living room. The open-plan living room offers an impressive double-height ceiling, chandelier and breathtaking gulf views from multiple aspects. Cerulean waters contrast with the sparkling white sandy beach to create a view straight from the pages of a luxury travel magazine. Entertaining in this amazing unit is a delight with a huge kitchen lined with gleaming white cabinets, wood-effect tile flooring and stainless appliances including a dedicated wine refrigerator for perfectly chilleddrinks. Guests can perch along the marble bar for cocktails and social chit-chat before moving to the formal dining area for dinner. 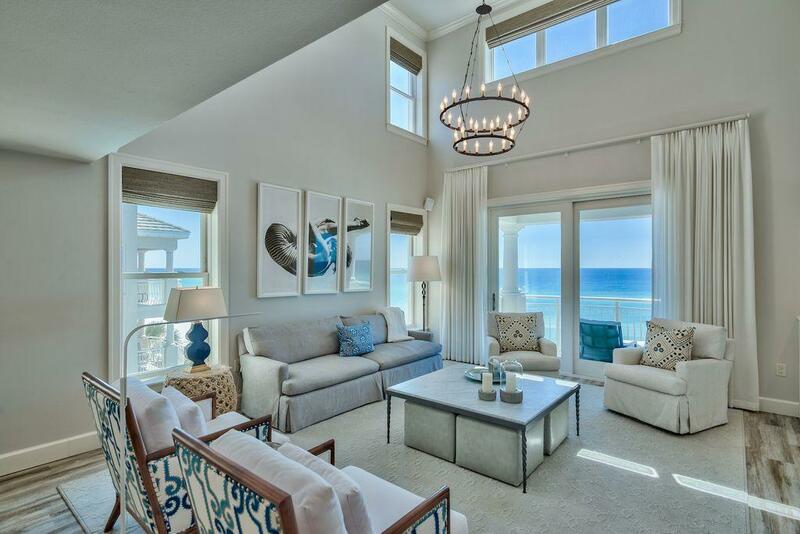 The bedrooms are equally light and spacious with trey ceilings and more priceless gulf views. The master suite features a generous bathroom with large shower and an oval spa tub for blissful soaks. 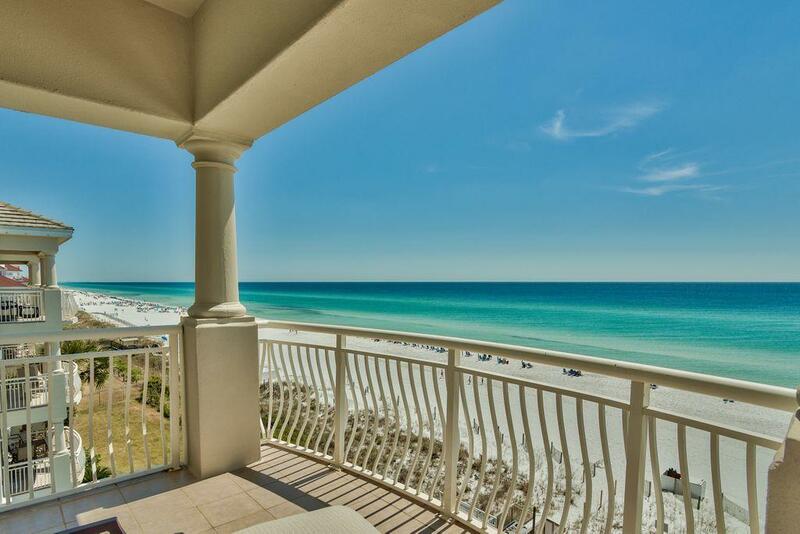 Outdoors, the balconies are perfect for relaxing and enjoying the stunning gulf views and the sound of turning waves lapping the shore. Gaze across the nearby lake and spot migrating birds and wading herons searching for a tasty snack. 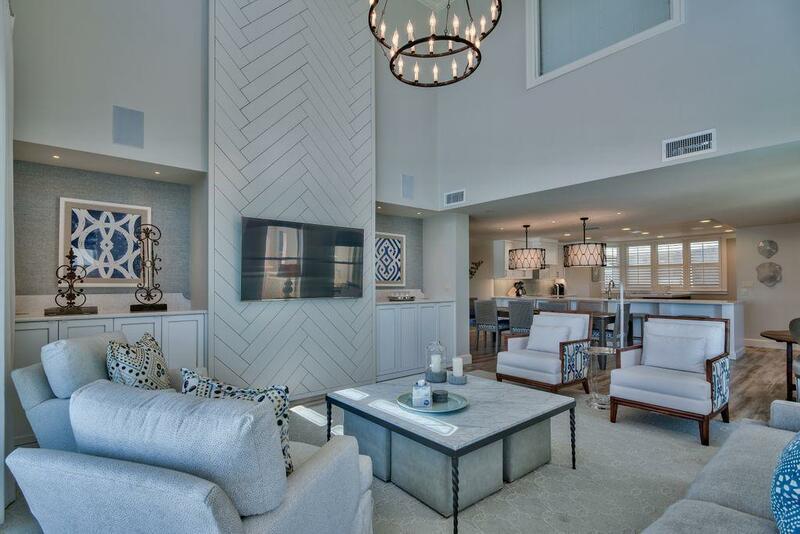 This low density community of just 16 units provides the perfect balance of exclusivity with the bonus of a hotel-style community pool, beach chair service and deeded beach access. Enjoy the breeze as you take a morning walk or a refreshing dip in the sea or gulf-front pool. Nearby Highway 98 connects with Santa Rosa Beach shops and amenities just 9 miles east. To the west you'll find Henderson Beach State Park and Destin's seafood restaurants, water park and fishing charters.